Nawalgarh is a small town in the Jhunjhunu district of Rajasthan. Situtated in the shekhawati region it is famous for havelis and frescos. Nawalhgarh is also titled as the Golden city of Rajasthan. It is dotted with some of the best preserved havelis and finest frescoes in the Shekhawati region. Nawalgarh was founded by Thakur Nawal Singh Ji Bahadur in 1737 AD at the village site of Rohili. It is encircled all around by high walls and comprises of four poles in each direction namely Bawadi Darwaja, Mandi Darwaja, Nansa Darwaja and the Agoona Darwaja. There are a large number of forts present in the circumference of Nawalgarh. 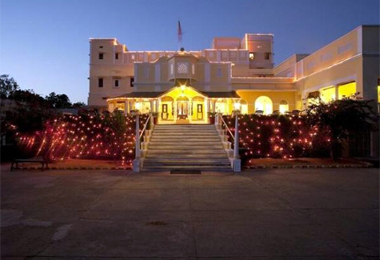 Some of these majestic forts and palaces of Nawalgarh have been converted into heritage hotels. The heritage hotels of Nawalgrah, are designed to cater to the varying needs of its guests. The staff of these heritage hotels is very polite and well trained. Though renovated a bit not many alterations have been made to keep the old world charms of these forts intact. The well-laid gardens and fountains offer an enchanting view to its guests making them feel close to the nature. In the next vacation plan a visit to Nawalgarh, for its beautiful forts and palaces. 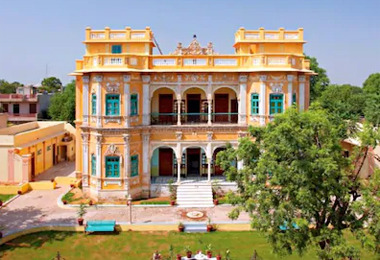 The Nawalgarh heritage hotels are the perfect stopover for the splendid travelers and booking it through the HeritagehotelsofIndia online portal one can avail great discounts.